Hypocrites. Liars. Prawns. Dull Colors. Being ignored. Get your tagboard in www.cbox.ws :D Place the codes here. The layout is done by Glazeo. Image is also by Glazeo, using Photoshop basic shapes. Base code is from Urban Faery. The theme for this skin is about Simplicity. And the colour used is Faint Blue. Please do not remove credits. Thankyou. Uggh, the 1st semester holiday just passed so its back to square 1 again. Study,study,study. I've been really busy lately. Got over my cousin sister's death and moved on. I have been composing poem/songs lately and I got addicted to it. Right now next to me is my notepad and pen trying to compose more and more. Eventhough tried but still looking forward to the weekends bcoz now my eldest cousin sister (since my actual eldest cousin sister died)is coming on Saturday to stay in KL since she's attending university here. Yay, I can have time to play a little with her. Well, enough writing, i think I'm gonna go back to make songs. Ciao! For me update on my week go to the-second-story.blogspot.com! Thank you,but strangers aren't allowed! Hihi again, I'm back with a new year and new design! Like my background? Ooh...visit my other blog too: the-second-story.blogspot.com. C u there! This two pictures of us Super Girls. Grace, Rachel and Elise with their amazing poses! More pictures of Genting and us. Here are the photos of our Genting Highland Trip this school holidays. These pictures are in the hotel room. The latest korean show. I love it! 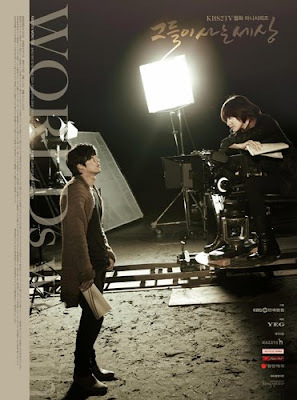 Starring Hyun Bin and Song Hye Kyo. Check it out on KBS World. 9:00 pm every Monday and Tuesday only!